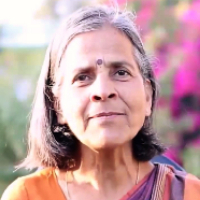 Savitri Narayanan has done MA in English Literature from Mumbai University and she did diploma in Early Childhood Education. She started teaching in 1986 and she has taught in many places like Mumbai, Kerala, Indonesia and Dehradun. Currently, she is working as a principal at John Martyn Memorial School, Dehradun. Teaching is helping children develop their potential and actualize their abilities. To be able to do this we need to observe the children and give them right inputs because every child is different and we have to cater to individual needs. "I started teaching in 1986. I have taught in many places like Mumbai, Kerala, Indonesia and Dehradun. Currently, I am working as a principal at John Martyn Memorial School, Dehradun."